March 12 -- Lawmakers and visitors to the State Capitol are likely to "Think Farmington" when they walk past the office of Rep. Kevin Engler (R). Posted just outside the Capitol building entrance to the office of this Farmington native is a life size poster that publicizes his favorite city. Since few if any of his colleagues have copied this idea in Jefferson City, it would seem that Farmington has a decided advantage in the "Hey, look at my home town" advertising department. And if any of his fellow lawmakers should ask for details about our town, Kevin Engler could talk for a long time about this exciting topic. Indeed, he should be an expert on the topic of our county seat. Just look at his credentials: he is a former mayor of the city; and he is a former president of the Chamber of Commerce who has the distinction of bringing songstress Dolly Parton to one of our Country Days celebrations. He played a major role in helping to get the Centene Center built. And, of course, there is Engler Park which has become a destination point in our town. One might say that Kevin Engler is as Farmington as Apple Pie. 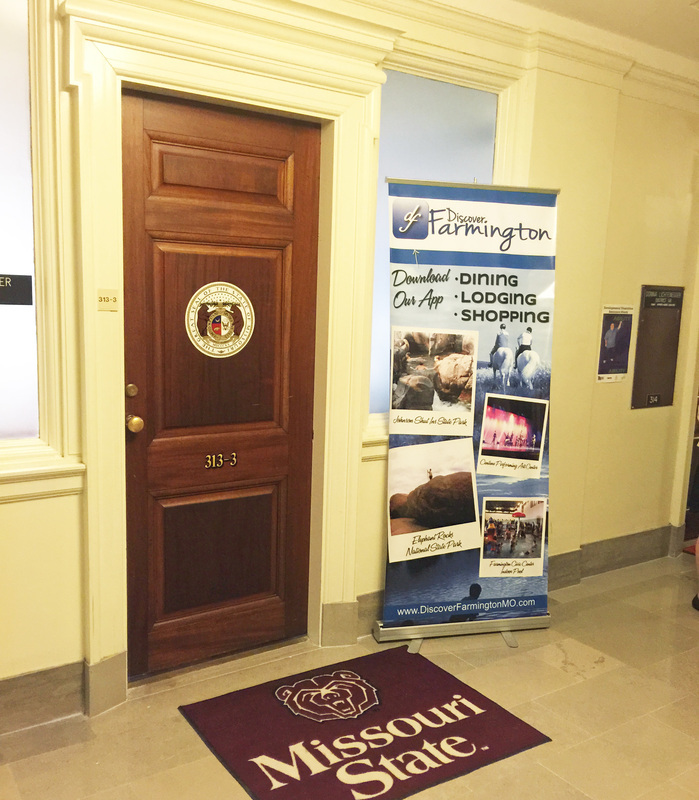 Rep. Engler's "Discover Farmington" sign (left) gives our town a boost at the state capitol building. 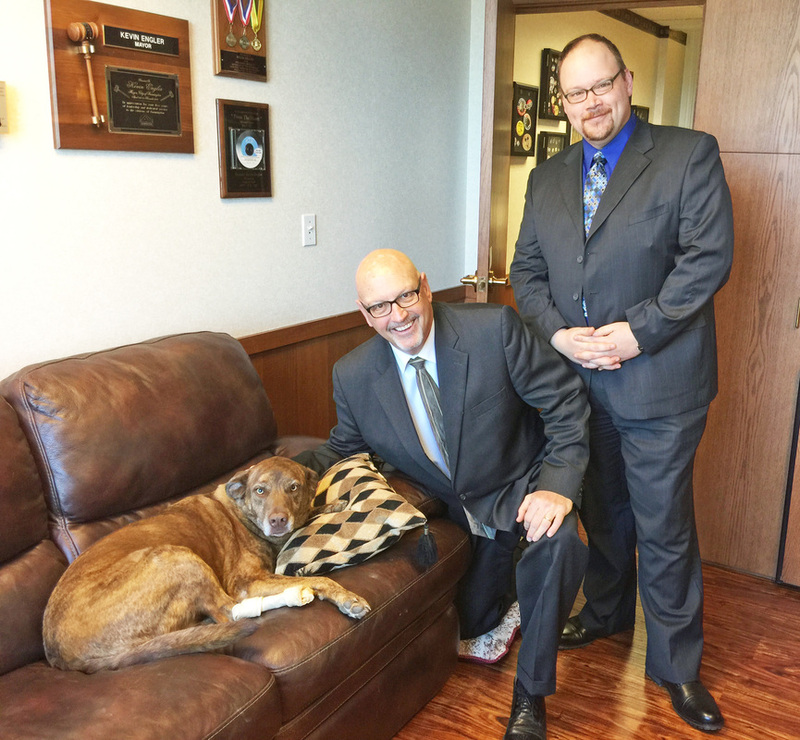 Engler (above) with his pet "Layla" and Patrick Weiss of our staff together with Jon Cozean visited local lawmakers March 11 regarding proposed funeral home laws.